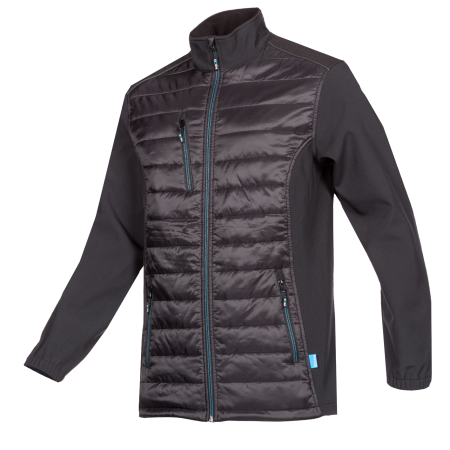 The Crosby is a quilted softshell jacket that keeps you warm on cold winter days. 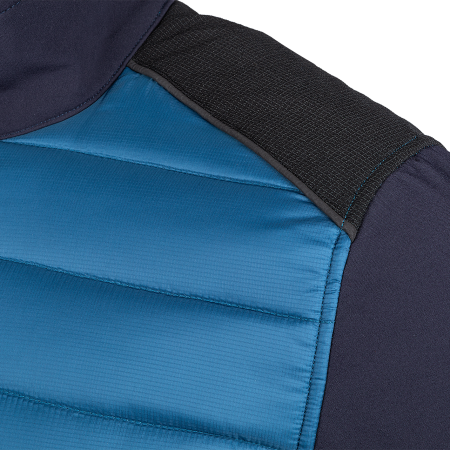 This close-fitting jacket has reinforcements on the shoulders and elbows. The standing collar and the elastic sleeve ends protect you from the wind. 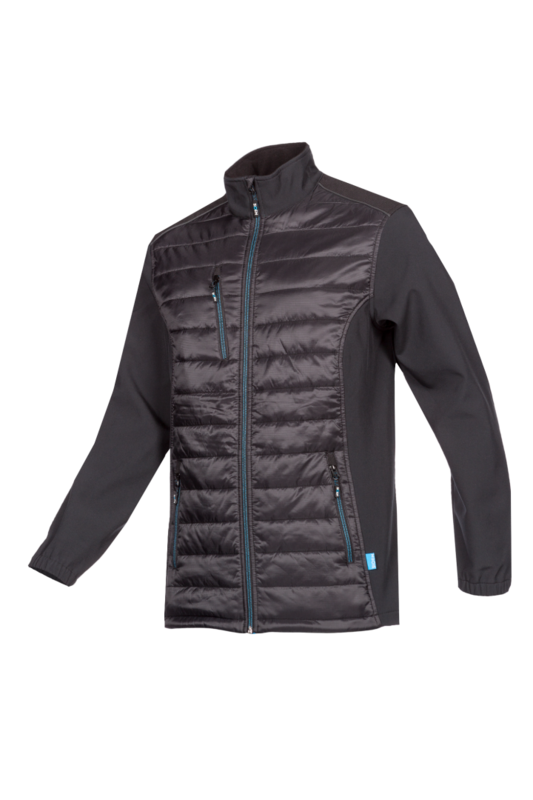 The inside has fleece and two pockets. 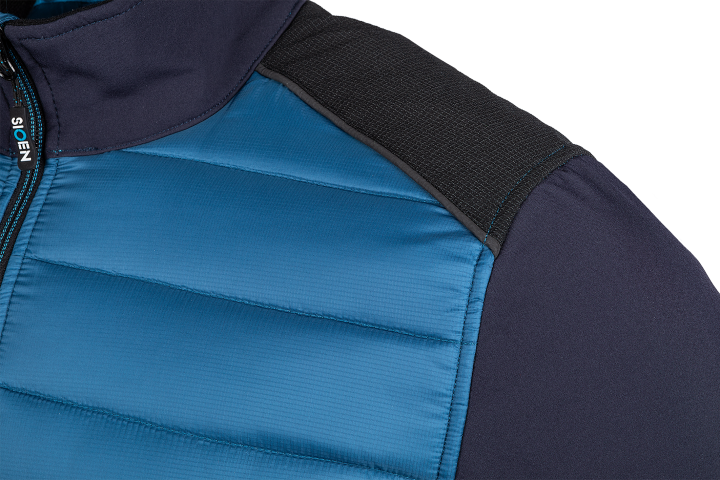 Also on the outside you will find two pockets and one vertical chest pocket, all with zipper. 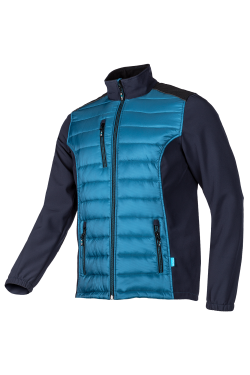 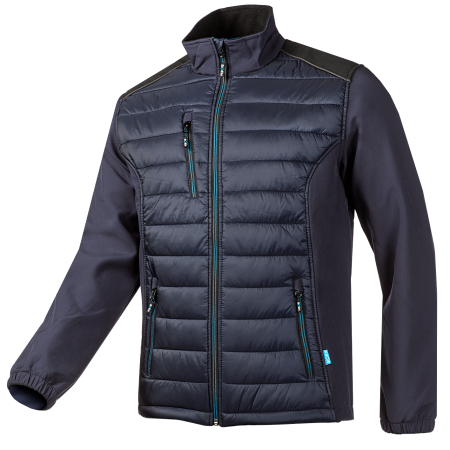 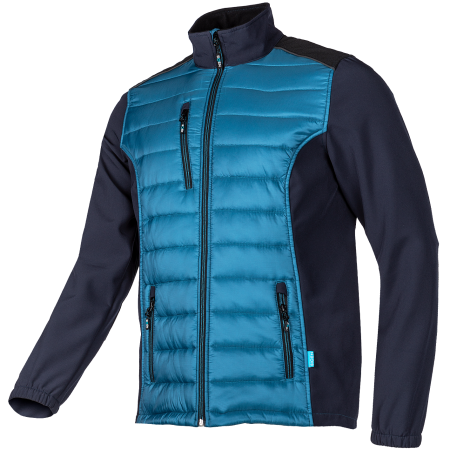 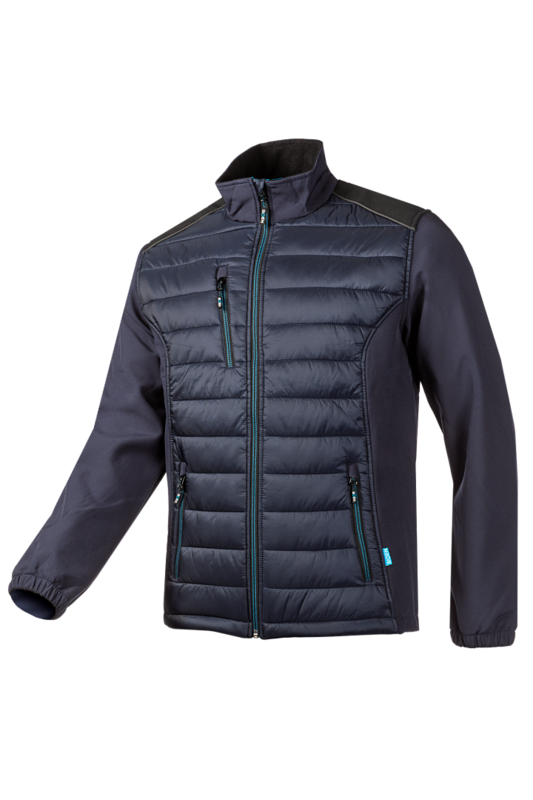 The Crosby is a warm, fashionable softshell jacket with cyan-coloured details.